Microsoft released another incremental update of Windows 10 on Wednesday, Build 9879, with new gestures, an improved OneDrive file management system, and the ability to turn off the new “task view” and search buttons. If your Windows 10-equipped PC is plugged in and sleeping, chances are that it’s already downloaded the new build—assuming that you’ve opted in to the “Fast Ring” of updates. Microsoft said Build 9879 would be the last of 2014, although users can expect a new release early next year, Gabriel Aul, the engineering general manager within the Operating Systems Group at Microsoft, wrote. Apparently, however, some wanted a purer Windows 10 experience. The new build adds a checkbox menu option where you can simply choose whether or not those features appear as icons in the toolbar. What appear to be the flagship features, however, are a simplified, logical OneDrive experience, and five new three-finger gestures to swipe through Windows 10’s user interface. A third, Snap Assist, now also works across multiple monitors. 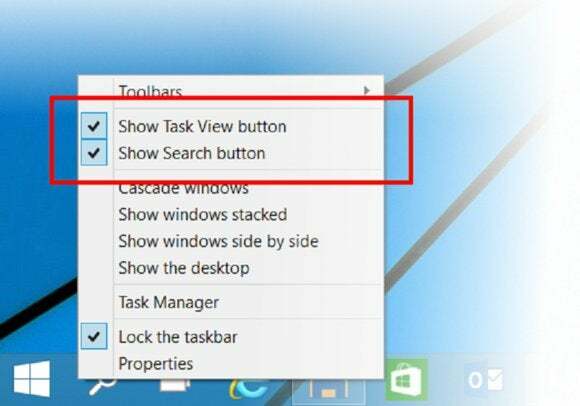 Don’t like the Task View and Search buttons in the Windows 10 taskbar (at left)? Get rid of ‘em. Why this matters: Microsoft continues to stride toward a release of Windows 10 sometime late in 2015, arm-in-arm with developers and enthusiasts who have provided feedback throughout the process. With Build 9879, the emphasis appears to be on adding flexibility where it’s needed, and simplifying things where it's not. One of features that Microsoft added quietly as it scaled up the free storage associated with OneDrive was the way Windows handled files stored on your PC. 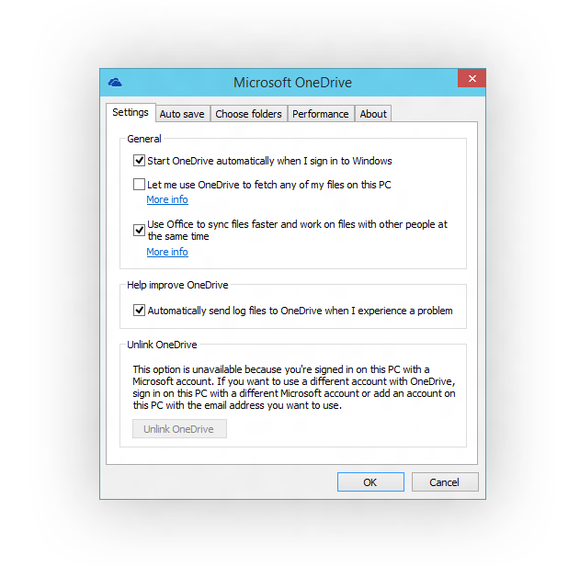 In Windows 8.1, users have the option to store files locally or in the OneDrive cloud. But there’s a gray area: To save download time, OneDrive might decide to save a partial "placeholder" of the file on your PC. What wasn’t clear, however, was what were placeholders and what were full files—resulting in a bit of angst when users boarded a plane without Wi-Fi, Aul noted. The new build adds some additional options to manage OneDrive within Windows 10. That’s changed. Windows 10 will now use what Microsoft calls selective sync, where you’ll need to specify what’s saved to your PC, and what Microsoft keeps safe in its OneDrive cloud. Microsoft also appears to be killing the dedicated OneDrive app, allowing users access to OneDrive strictly through the File Explorer. Microsoft also said a small number of users—about 10 percent of those with the beta—would be upgraded to the new “Edge” rendering engine, designed for improved compatibility with the various sites on the Web. A number of other, smaller tweaks include different folder icons, for example, and the use of a “hamburger” (layered bars) icon in certain apps to allow access to the Charms or settings.